Today, July 31 2008, I had the chance to ride with my friend who is an Engine Driver for SBB on a Re 6/6 . 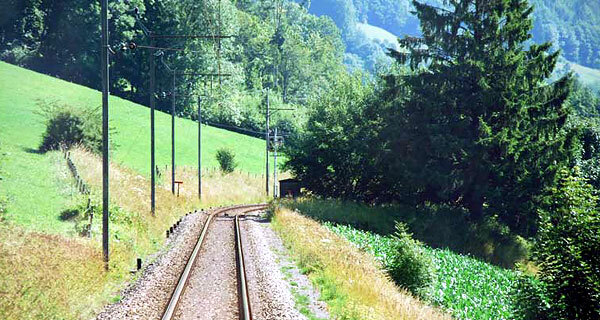 We moved a mixed freight train from Biel (Bienne) up to La Chaux de Fonds. La Chaux-de-Fonds is the capital city of the district of La Chaux-de-Fonds in the canton of Neuchâtel in Switzerland. It is located in the Jura mountains at an altitude of 1000m, a few kilometers from the French border. The gray line on the map above is the French border. Our engine with almost 11,000 Horsepower waits on the Trainstation Les Hauts-Geneveys for the switcher. Please notice the modern graincar with the cargo sign. We were pulling also a "Nivellier-Richt-Stopfmaschine" for trackwork and turnouts, sorry I don't have the English name for it. This machine has also a $600,000 laser on board for used to levelling the track. It's the yellow machine on the flat car. There is also the little switcher with a crew member and an insight shot of the switcher and some other trackwork machines. The first few pictures above shows 2 beauties near an old repair shop. This are the famous Ae 4/7 locomotives. 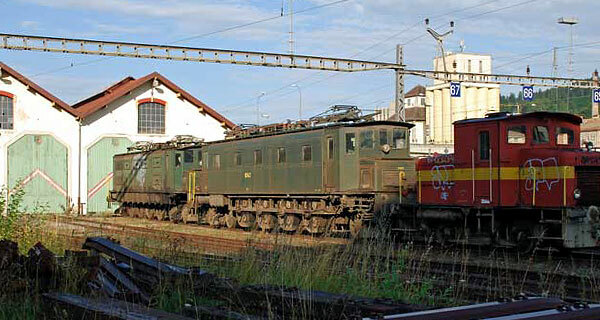 The Ae 4/7 was a universal locomotive of the Swiss Federal Railways, employing the so-called Buchli drive. Last but not least thanks to this drive construction, invented by Jakob Buchli, it was one of the longest-lasting locomotives. It was in regular use for 7 decades, from the 1920s into the 1990s hauling freight and passenger trains all over Switzerland.While waiting around at the train station, I' took two shots from a blue French diesel train. Because the border is so close, many people from France work in Switzerland and travel every day from France to Switzerland and back home. 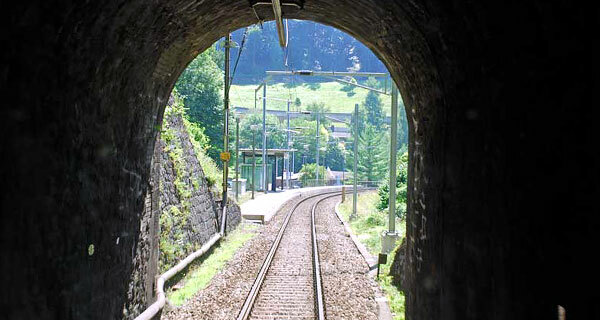 On the other side off the train station is a narrow gauge line for passenger and freight transport. They also do some fun train rides with a steam locomotive being "attacked" by bandits, that's a lot of fun for kids (and of course adults too). 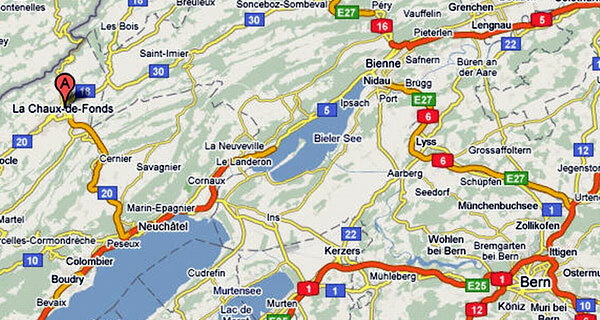 The last pictures finally shows the way back to the city of Biel where our adventure started. There is a inside shot of the RE 6/6 from the driver's cockpit and another beauty hidden by the repair shop, the blue locomotive. I must find out more about this engine when I visit that train station in the future.